Hello and Welcome to EnterpriseProgrammer.com! My name is Robert Ilardi; I am an Application Development Group Senior Manager and Director at Citi, Inc. in the New York City area. On my blog “Enterprise Programmer” I plan on publishing articles (hopefully on a weekly basis at first, and depending on feedback, perhaps eventually every couple of days) on all topics related to Enterprise Application Development and Architecture, with the aim of helping professional and aspiring software developers create and promote Stable, Scalable, Flexible, Extendible, and easily Maintainable solution for enterprises in all industries and sizes. Hopefully a long the way we’ll have some time for fun geeky articles on things like Tesla Coils and Chumby Hacker Boards… Until then here’s a picture of me next to my first Tesla Coil name “Thunderbolt”! Enjoy! 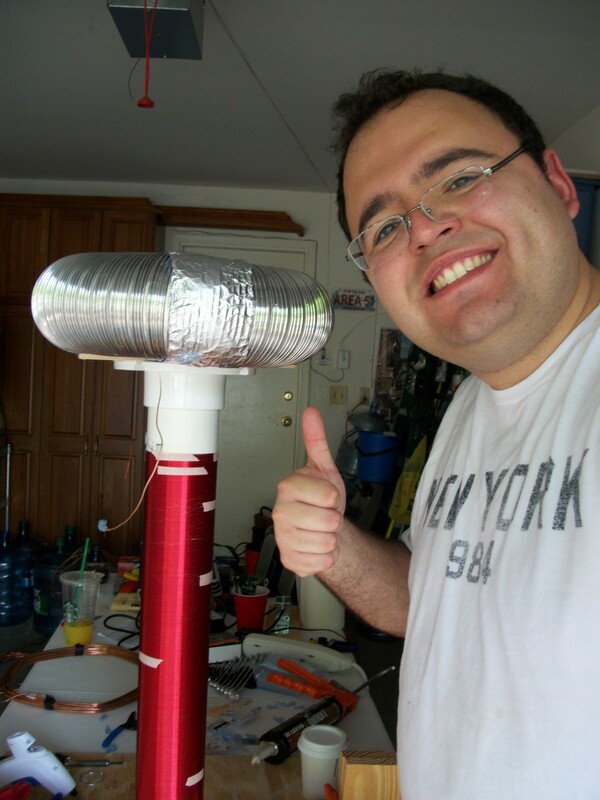 If you would like more information on my Tesla Coil, check out my Project Thunderbolt page on RogueLogic.com. This entry was posted in Programming General. Bookmark the permalink.